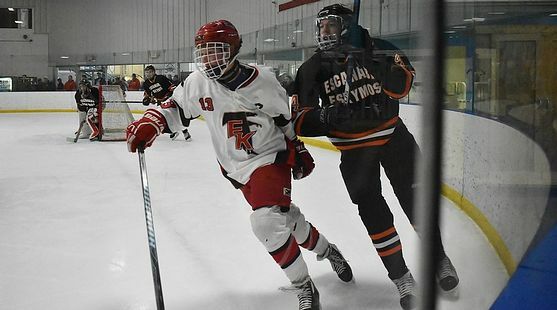 CHELSEA, Mich.---The Escanaba Eskymos finished the Michigan Public High School Hockey Showcase with a 2-1 record after posting a 6-4 win over East Kentwood on Saturday in downstate Chelsea. 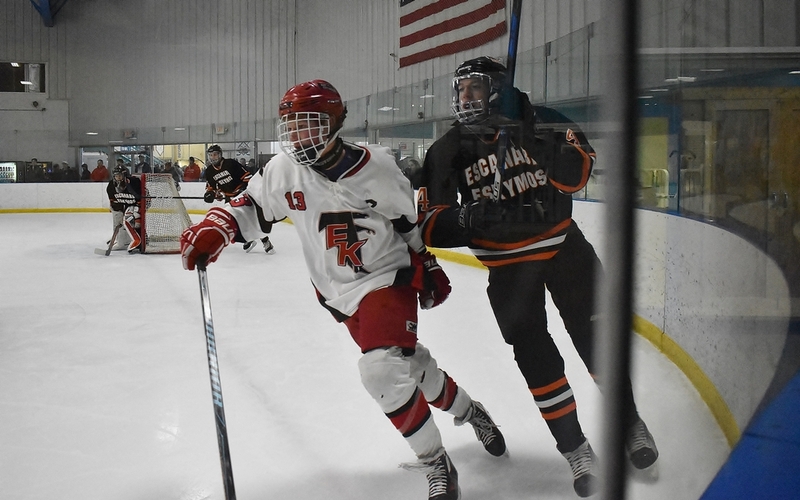 The Eskymos raced to a 4-0 lead as Ethan Silverstone scored a hat trick, then held off a furious Falcon rally in the third period. 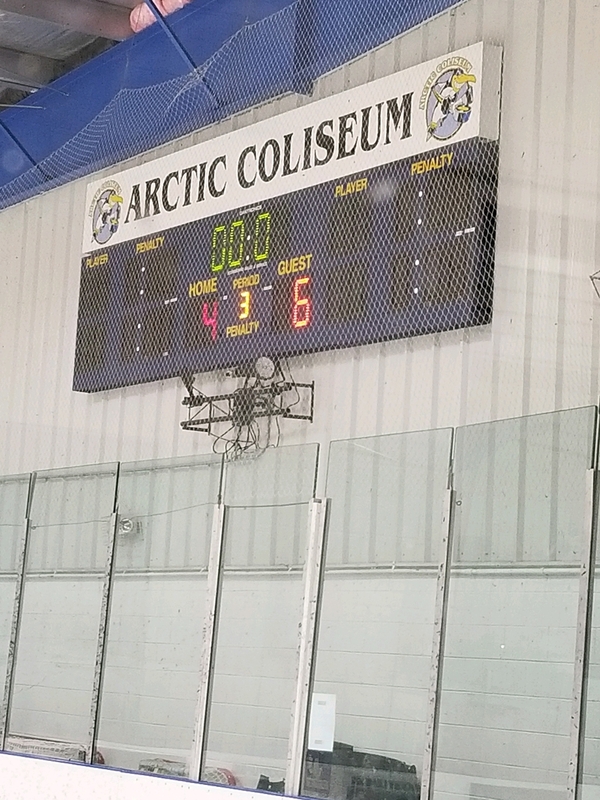 Silverstone finished with four goals. 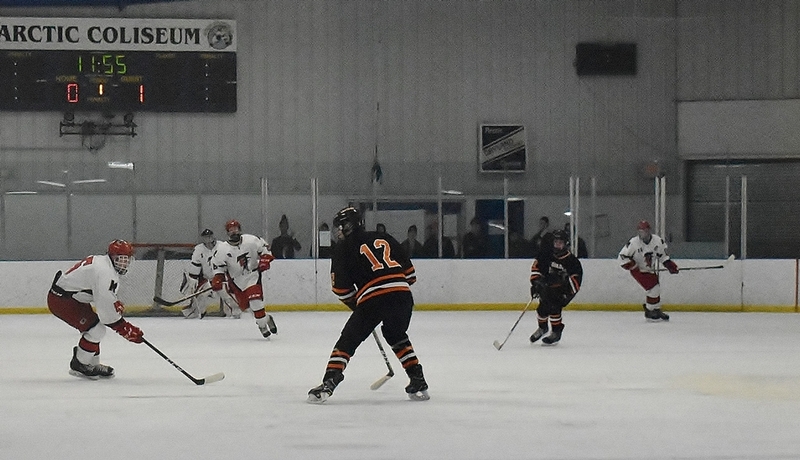 Christer Carne and Nick Kolich also scored for Escanaba. 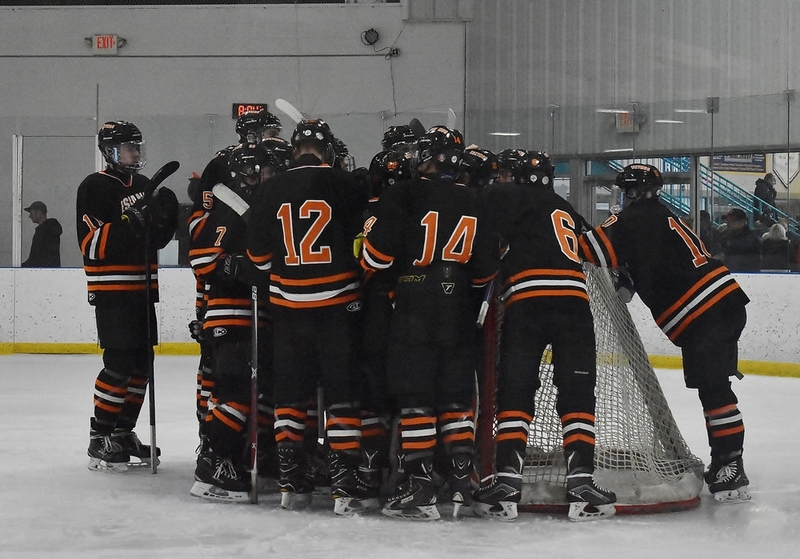 Escanaba is now 10-10-0 on the season. The Eskymos have a make-up game in Kingsford Tuesday night at 7:00. It will be broadcast on WCHT-AM (NewsTalk 600) and on-line at www.rrnsports.com. 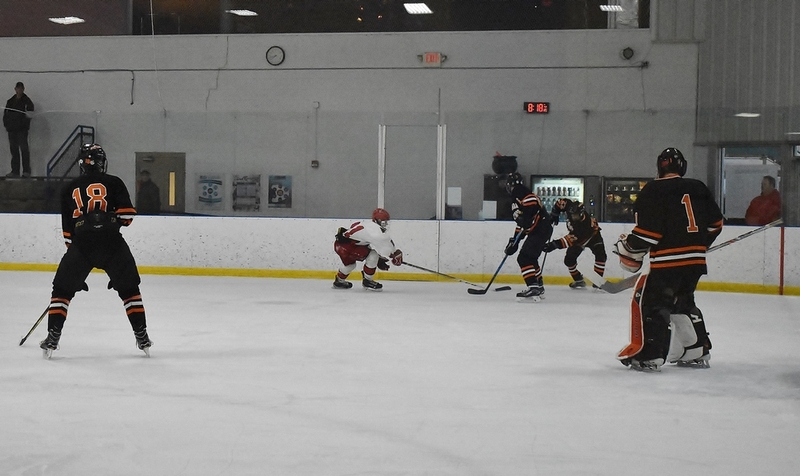 Click the thumbnail in the ARTICLE HIGHLIGHTS box above to see photos, and a video clip of Silverstone's hat trick goal, and a goal by Carne. Thanks to Missy Reinhart for the updates.